Who is “susceptible” is the subject of the paper entitled, “Predicting post-vaccination autoimmunity: Who might be at risk?” It lists four categories of people: 1) those who have had a previous autoimmune reaction to a vaccine, 2) anyone with a medical history of autoimmunity, 3) patients with a history of allergic reactions, 4) anyone at high risk of developing autoimmune disease including anyone with a family history of autoimmunity, presence of autoantibodies which are detectable by blood tests and other factors including low vitamin D and smoking. Study – ‘ASIA’ – autoimmune/inflammatory syndrome induced by adjuvants. The role of various environmental factors in the pathogenesis of immune mediated diseases is well established. Of which, factors entailing an immune adjuvant activity such as infectious agents, silicone, aluminium salts and others were associated with defined and non-defined immune mediated diseases both in animal models and in humans. In recent years, four conditions: siliconosis, the Gulf war syndrome (GWS), the macrophagic myofasciitis syndrome (MMF) and post-vaccination phenomena were linked with previous exposure to an adjuvant. Furthermore, these four diseases share a similar complex of signs and symptoms which further support a common denominator.Thus, we review herein the current data regarding the role of adjuvants in the pathogenesis of immune mediated diseases as well as the amassed data regarding each of these four conditions. Relating to the current knowledge we would like to suggest to include these comparable conditions under a common syndrome entitled ASIA, “Autoimmune (Auto-inflammatory) Syndrome Induced by Adjuvants”. (Natural News) Every individual or organization that tells you chicken pox vaccines are not made with human fetal tissue cell lines is engaged in science denialism. It is an irrefutable science fact that varicella (chicken pox) vaccines are made with not just aborted human fetal tissue cell lines, but also cells take from guinea pigs and cows. In effect, a chicken pox vaccine is a multi-species blood and tissue cocktail of DNA and chemicals being mainlined into your tissue and blood. In 1993, the Marchant family’s 14-month-old daughter received what was supposed to be just aregular MMR vaccine. Before receiving her vaccination, baby Jodie said, “Love you!” to her dad in the waiting room at the doctor’s office. Everything seemed to be going okay — until Mr. Marchant heard his child scream. Who Decides What Facts Can or Cannot Be Taught? It’s so moving to hear this doctor apologize, also see what he thinks about vaccinating the elderly and vaccinating newborns? You know how when someone wrongs you, even if they can’t fix the wrong, just to hear an apology feels better? Having them acknowledge what happened, and bonus points if they really seem to care, means the world. That must have been how Polly, from the Vaxxed movie, felt when Dr. Anthony Phan, an internal and geriatric integrative medicine doctor from Johns Hopkins, offered her a tearful and heartfelt apology for all she and other parents have been through with their vaccine-injured kids. You can watch the entire video below, wait ’til you hear his common sense coming through! He talks about the flawed data coming from the CDC and how he prayed asking God for insight, started reading more and learning about integrated medicine, and then stopped vaccinating his patients. He searched for the Truth, and then STOPPED vaccinating. “There hasn’t been any evidence to suggest that the MMR vaccine does not protect against circulating mumps strains. However, outbreaks have occurred in highly-vaccinated communities, particularly in close-contact settings, despite the protection afforded by mumps vaccination,” Ian Branam, a CDC press officer, tells FOX Business. According to the CDC, MMR-II prevents most, but not all, cases of mumps and complications caused by the disease. It says two doses of the vaccine are 88% effective at protecting against mumps; one dose is 78% effective. However, Paul Offit, MD and director of the Vaccine Education Center at The Children’s Hospital of Philadelphia, says a third dose of the vaccine may be needed in light of the current reported outbreaks, and may be a quicker solution than developing a new and stronger vaccine. “Could you make a better mumps vaccine which has no side effects and has better protection? I think that you could, but it would probably be a two-decade long effort and it would mean a company like Merck, which is the sole manufacturer in the United States, will essentially be competing against themselves — so I don’t see that happening. I think the more likely scenario is that you give out a third dose of the current vaccine at 11 or 13 years of age,” Offit tells FOX Business. The CDC says it is already considering whether a third dose should be added to the current immunization guidelines. 1983: A healthy-born child according to the CDC vaccination schedule receives 6 vaccines in the first 15 months of life. The autism rate is 1:10,000. 2017: A healthy-born child according to the CDC vaccination schedule receives 23 vaccines in the first 15 months of life. The autism rate is 1:68. This means in the last 30 years, the prevalence of autism has risen 14,700% . The projected costs for the United States would rise to more than $1 trillion by 2025  if prevalence continues to rise at rates seen over last decade alone. I want to tell you how autism comes about. Just to clarify: I am not against the concept of vaccination. I am against the toxins contained within vaccines. If you think the vaccine industry has tested all the ingredients on humans, you are deep in the woods. I invite you to examine the scientifically documented data and discover that what is happening is beyond concerning. Vaccines ARE linked to autism. And this is why. A vaccine’s contents are injected into the muscle. From there it elicits a specific response from the immune system. Additives called adjuvants are put in vaccines to make the immune system response more pronounced and therefore more effective. The objective of adding adjuvants to vaccines is that adjuvants prime protective memory CD8 T-cells for future exposure. . When your immune system is responding to the vaccine ingredients, it creates memory cells that will be ready to kill the real bacteria or virus when exposed to it in the future . Vaccines have tiny particles of the virus or bacteria in it that your immune system recognizes as full blown real viral or bacterial threat. There are questions being raised about children who are diagnosed with neuropsychiatric disorders and their association with vaccinations, according to the results of a pilot case study published in Frontiers in Psychiatry/Child & Adolescent Psychiatry  last month. Researchers examined the association between the administration of vaccines in children ages 6-15 years old who have been diagnosed with conditions such as anorexia nervosa, obsessive compulsive disorder (OCD), tic disorders, attention deficit hyperactivity disorder (ADHD), major depressive disorder and bipolar disorder. What they discovered was that there is data to suggest that children who were newly diagnosed with anorexia nervosa were more likely to have been vaccinated in the previous 3 months than those in the control group. They also found that children vaccinated with the Influenza vaccinations during the prior 3, 6, and 12 months were also associated with incident diagnoses of anorexia nervosa, OCD, and an anxiety disorder. Several other associations were also significant, including correlations between hepatitis A with anorexia nervosa and OCD; hepatitis B with anorexia nervosa, and meningitis with anorexia nervosa and chronic tic disorder. The principal findings suggest that children with OCD, anorexia nervosa, anxiety disorder, and tic disorder were more likely to have received influenza vaccine during the preceding year. 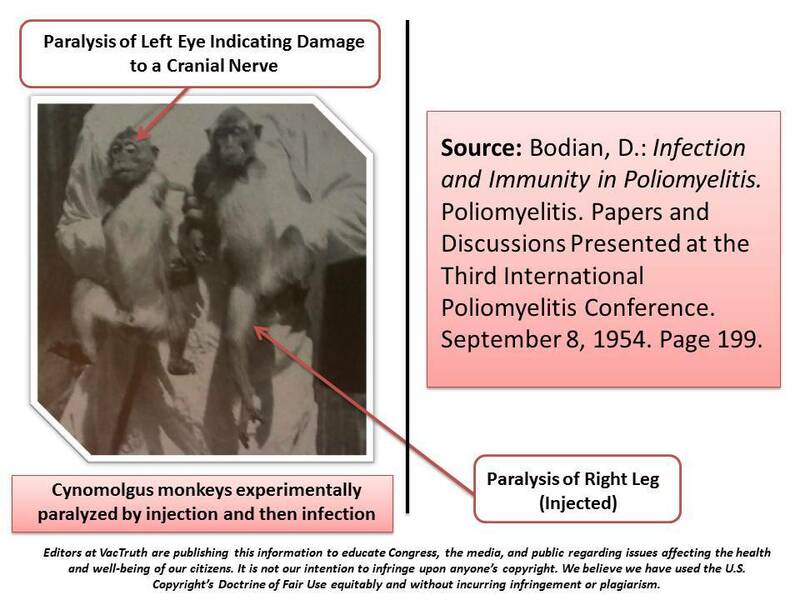 The discovery of the possible link between the influenza vaccine and neurological disorders is significant in this study, especially in light of the fact that the U.S.Special Claims Court had a 1188% increase in payouts to Americans for influenza vaccine injury from 2014-2015 [2, 3]. Vaccine injury cases are on the rise people, so if you’ve got your head in the sand and you haven’t been paying attention, it’s time to wake up. Here’s a little background for those of you just getting started. Ronnie Reagan… almost 30 years ago to the day, the 40th president of the United States signed away the rights of Americans to sue vaccine makers, replacing them with a law that forces families who have suffered vaccine injury or death to sue the U.S. government instead of a pharmaceutical company. As a result, special masters from the United States Special Claims Court, also known for our purposes as the vaccine court, are given full authority as judge with no jury to decide the fate of Americans who have had the unfortunate ‘luck’ to be stricken by a vaccine injury — which can range from chronic, mild symptoms to death. Once a year, this non-traditional court provides the public with a glimpse into its inner workings, by issuing an annual report on its website — a ritual that happens every January. The report is sent to the President of Congress, otherwise known as the Vice President of the United States, where it is intended to serve as a bell weather monitoring reactions the American public may be having to vaccinations that are increasingly becoming forced by government mandates around the country. Great, right? Accountability in action? 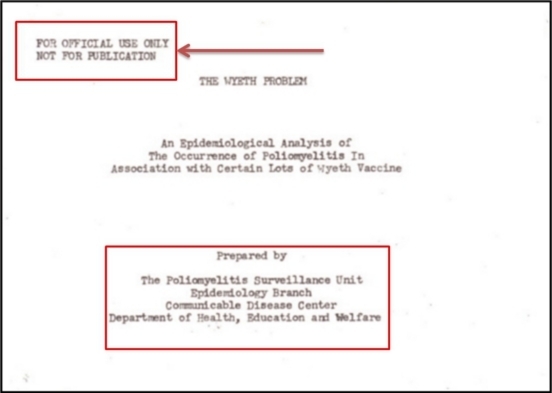 The report, which is consistently ignored by mainstream media/politicians/health officials and the CDC, lies dormant on the reports page of the U.S. Special Claims Court website. No headlines, no press release, no analysis, no alert the media, no nothing. Those who accuse CNN and other mainstream media outlets of “fake news” will probably revel in a recent decision by a federal judge in Atlanta, Georgia. While Judge Orinda Evans didn’t all out declare that CNN was peddling in falsehoods, she did take aim at the network in an initial judgment in favor of a former hospital CEO who sued CNN accusing them of purposely skewing statistics to reflect poorly on a West Palm Beach hospital. Judge Evans didn’t mince words in her 18-page order allowing the case to move forward, and dismissing CNN’s attempt to get it thrown out of court. Davide Carbone, former CEO of St. Mary’s Medical Center in West Palm Beach, filed a defamation lawsuit against CNN after they aired what he claims were a “series of false and defamatory news reports” regarding the infant mortality rate at the hospital. CNN’s report said the mortality rate was three times the national average. However, Mr. Carbone contends that CNN “intentionally” manipulated statistics to bolster their report. He also claims that CNN purposely ignored information that would look favorable to the hospital in order to sensationalize the story. “In our case, we contended that CNN essentially made up its own standard in order to conduct an ‘apples to oranges’ comparison to support its false assertion that St. Mary’s mortality rate was 3 times higher than the national average. Accordingly, the case against CNN certainly fits the description of media-created ‘Fake News.’” said Carbone’s attorney L. Lin Wood, in a statement to LawNewz.com. Wood says that as a result of CNN’s story Carbone lost his job and it became extremely difficult for him to find new employment in the field of hospital administration. “False and defamatory accusations against real people have serious consequences. Neither St. Mary’s or Mr. Carbone did anything to deserve being the objects of the heinous accusation that they harmed or put babies and young children at risk for profit,” Wood said. We’ve reach out to CNN for comment, and will update this story accordingly.